As someone who is passionate about an engaging event experience, you can bet my sessions are engaging, relevant and packed with value. I have had the opportunity to speak for a wide range of audience types and sizes. My main topics are EVENT PLANNING, TECHNOLOGY & BUSINESS DEVELOPMENT. Below is a partial list of speaking sessions offered for your brand and organization. All of the topics below can be customized to your needs and audience. I look forward to working with you. Attendees have a shorter attention span than ever, so what are you doing to better engage them with your conference and events? In this session, we’ll talk about how to use fun to create a better connection with your attendees and keep them engaged and loyal to your events for years to come! The events industry is incredibly competitive and independent business owners have a BIG task ahead of them to stand out from the competition, earn new clients and build their business. The key to a financially-successful and enjoyable business is to develop yourself as a thought leader so you can win more of the right clients AND bring in revenue from new sources like speaking engagements, consulting and more! In this session, Liz will talk about her own journey to become “25 Most Influential People in the Events Industry” and other accolades, and how all of that has helped her event business stay in the black. Look at the impact thought leadership has on a business. Know the 5 keys to building thought leadership in the events industry. Use your thought leadership to drive new revenue sources and open new opportunities. Discuss different apps to help increase your productivity. Identify new pieces of technology that can help you manage your meetings more efficiently. Your attendees could choose to go to a hundred other events, so why would they choose yours? Event planners have become experiential masters, content marketers and more in order to grab the attention of their audience. In this session, we’re going to look at events from a big picture perspective and talk about how seating arrangements, registration processes, content delivery and more play a huge role in your attendee’s love for you and your brand. Attention is one of the scarcest resources of the 21st century. Our attendees have more competition for their attention than ever before which means that marketing is more difficult and keeping them engaged on site is challenging too. So what can we do as event planners to make our events more engaging? In this session, we’ll talk about 25+ ideas to keep your attendees engaged using technology – from social media to apps to gamification, your next event will leave guests craving more! The fast-paced evolution of technology is causing us to rethink how we can use products successfully at our events. This quick primer will cover how to create an event tech strategy and will update you on the latest trends in event technology. – Understand how important networking is to the overall event. – Identify 5 innovative ideas to enhance connections at your next event. – Discuss the role of offline and online working together to create meaningful interactions. Liz King Caruso is an Event Specialist, Consultant & Speaker who is passionate about impactful, successful & fun events. 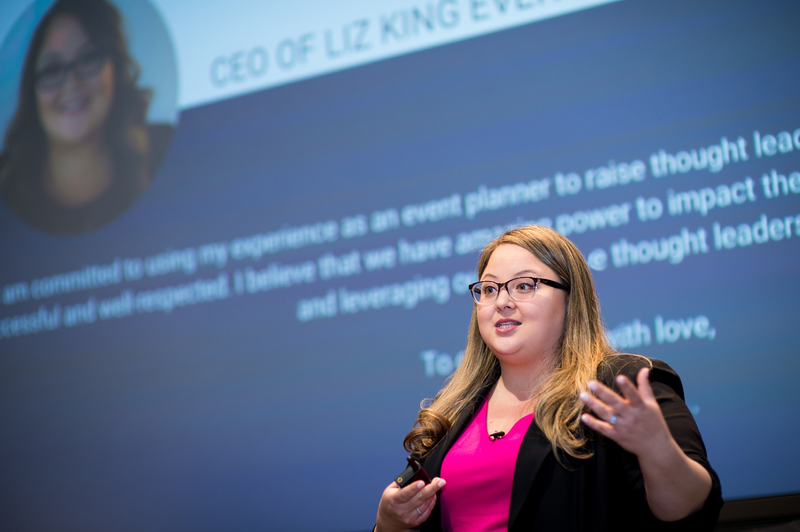 Liz launched Liz King Events while still running events FT for Columbia University and quickly became a thought leader/influencer amongst her peers after voraciously sharing content on event best practices. Liz works with thought leaders like Ramit Sethi, Microsoft, SeatGeek, Teamworthy Ventures, Ramon Ray and many others to host strategic conferences and events that engage their audience, build their brand and sell their products and services. She also works with other independent event hustlers to help them run more successful businesses through her year-long consulting program called IGNITE. IGNITE helps amazing planners tap into their brilliance and build their thought leadership so they can get more of the right clients and become more financially stable. In addition, Liz ran one of the most iconic event-tech conference in the industry called techsytalk LIVE. 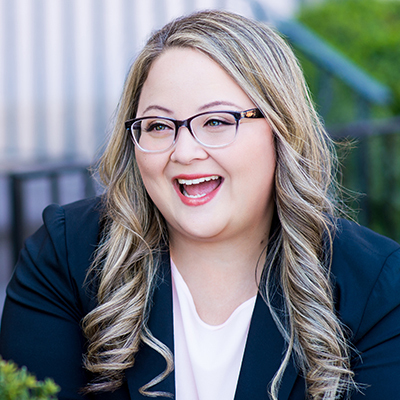 Liz has been featured in Successful Meetings list of 25 Most Influential People in the Meetings Industry, Connect Magazine's list of 40 Under 40 Up-and-Coming Event Planners, and Meetings and Conventions list of Top Influential Female Leaders in the Events Industry, amongst other awards.